How are formal, organized and appointed leadership models in schools adapting to teacher leadership initiatives that are self-organized, community oriented, and both deliberate and organic in nature? From teacher training programs, to experienced teachers, to online learning communities – teacher leadership is becoming the driving force behind some of the most authentic, current and innovative projects and evolving pedagogies in education. Information is more available and accessible then ever before. Networks are connecting beyond schools, districts and Ministries. Educators are forming learning groups, communities of practice and support mechanisms even beyond the formal direction or moderation from a supervisor or evaluator directly in their organization. Almost every night of the week educators around the world are learning and supporting each other through online chats, e-learning environments, ed-camps, unplugd retreats, collaborative blogs, and shared video resources. As a teacher-leader, I am inspired and excited by the efforts and partnerships between the Ministry of Education and the Ontario Teachers Federation for nurturing, supporting and empowering teachers to take on leadership initiatives at the Ministry Level through programs such as the TLLP (Teacher-Leadership-Learning-Program). I applaud Faculties of education such as Brock University for empowering new teachers through a blend of leadership and technology courses. It is thrilling and exciting to see Directors of Education (ie: John Malloy – Director of HWDSB or Chris Spence, Director of TDSB) at local districts not only using and modeling social media tools to expand vision and build capacity within the community but to also encourage and show support to staff. Myself – I am honoured and proud to be part of a community of learners (of practice) through the online network at the grassroots level with educators, teachers and leaders at all levels in education. How are formal leaders (Principals, Vice-Principals, Superintendents) in our organizations – the formal, appointed leaders – being trained or prepared to adapt to a changing landscape of leadership within their schools and organizations? How are they using teacher-leaders in their schools to empower the rest of their staff? How willing are they to participate in a distributed and shared leadership model within their schools? Is our Principal training programs and our Ministry of Education training and supporting principals to adapt to a 21st Century Model of leadership? Are they modeling the same skills that many of their teachers are practicing themselves? “Research tells us that people learn on the job, which presents some dichotomy for the academic world between the theory, research and practice. The “dailyness” of work is different that the kinds of questions that are asked in research. 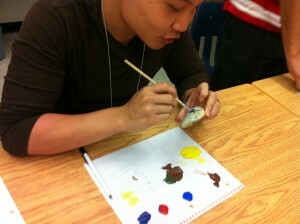 The TLLP, for example, helps form a community of like minded people who are willing and open to better their practice. When given the support and structure to implement an action research and have built a community of practice, Lieberman emphases that , teachers in leadership programs use their “fist full of strategies” to transfer and apply their learning and reflection with their own students. These are a just few words that come to mind when I reflect on how I felt as I toured the hundreds of projects that were on display at the #TLLP2011 summit this past weekend in Toronto, Ontario. What an honour! Together, teachers gathered from across Ontario’s 72 District school boards – all grades, disciplines, subject levels, departments and from across a diverse province of French and English learners, Aboriginal communities and Gay and Lesbian groups to share insights, perspectives, research and best practice. If the passion and energy of these leaders could have been bottled up and harnessed for power, I am certain that it would be enough power to get us through the next hundred years. The TLLP is a joint venture between the Ontario Teacher Federation and the Ontario Ministry of Education and provides an opportunity, funding and support for teachers to engage in leadership initiatives within their schools and districts. Although throughout the year we used an online network to share our progress, I don’t think that any of us were prepared for the magnitude of depth and detail that was on show at the summit. As a participant and lead learner of the TLLP project, with my team -we too had a display that focused on a year long project that investigated the use of sound and ink and its impact on learning and we documented our learning on a collaborative blog called, “livewithlivescribe”. 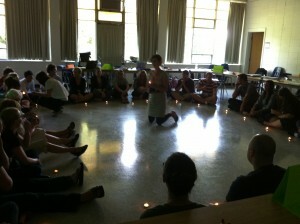 Being able to share and discuss our projects with other teachers across our province was incredibly empowering. 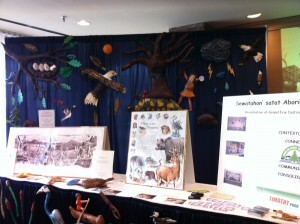 As I toured the showcase, it was hard not to feel overwhelmed with emotion. 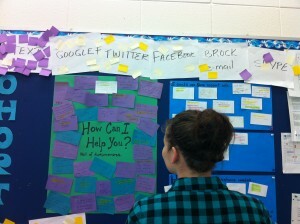 Over and over and over, I heard teachers talk about how their project helped engage their students. I heard teachers talk about how their project put confidence in the students, how their project provided opportunity for students, how their project gave hope to students. 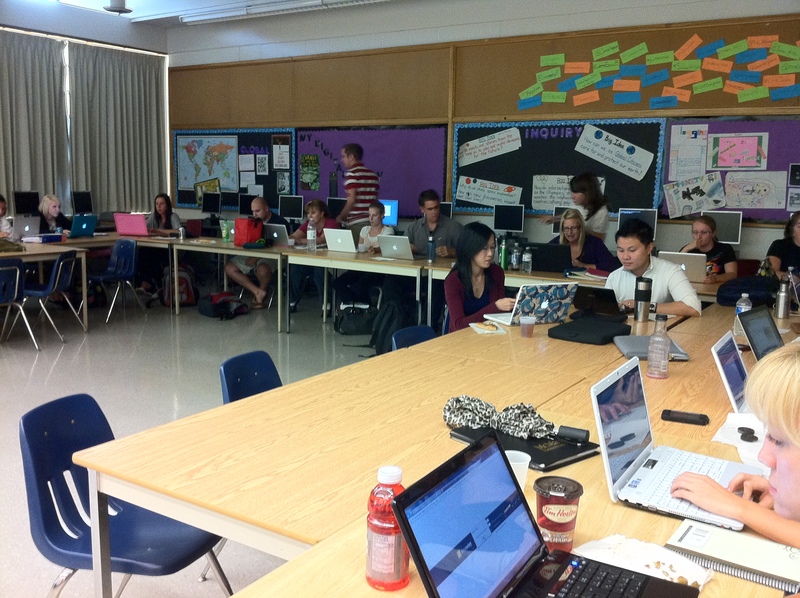 I tried to imagine how many students were impacted by the initiatives in the room. As one teacher excitedly explained to me, “we only thought, this project would effect the 10 people in our school that joined, but over 30 teachers were ultimately involved”. He repeated with a huge smile, “30 teachers”. I smiled when he said that and pointed out to him the people in the room. “Your project will impact 100’s of teachers”, I said with a lump in my throat just imagining how many children’s lives would be touched. As educators, we so often talk about student engagement and what it really means to be engaged. In a classroom with kids, engagement requires a rich inquiry based learning environment. Every students needs a purpose and every student needs to to feel safe to make mistakes. Collaboration is essential in discovery and learning as is presenting to an authentic audience. As an educator, teacher engagement has become essential to my practice. In fact, If I am not fully and authentically engaged in what I am doing, my performance in the classroom becomes dull, tedious and lacking in richness – similar to what happens to my students, when they aren’t fully engaged. What if we changed the word “student” to “teacher” in the above definition? Would the research, and arguments also prove true? After reflecting on this myself and, addressing this issue (teacher engagement) with friends, colleagues and my PLN, I discovered that the expectations of professional development, teacher training, staff meetings and committee meetings differ greatly – not depending just on age and generations, but also on one’s involvement with learning outside their immediate organization. Overwhelming, teachers want choice, freedom, integrity and openness, entertainment and play, collaboration and relationship building and to be innovators themselves. Sound familiar? These characteristics are what Don Tapscott presents in his book, “Growing Up Digital” as the eight common attributes pertaining to the “Netgens”. I am not a “Netgen”. I am considered, “Generation X”. However, I am immersed in a ‘Netgen’ culture and the attributes I listed above are applicable to how I life my life both professionally and personally. I believe strongly that if teacher professional development and training were aligned with the characteristics presented by Tapscott, teacher engagement would increase, resulting in overwhelming openness and willingness to embrace new methods of teaching. It is my hope that principals and leaders across our districts assess their own level of engagement and recognize that they will benefit greatly by democratizing their staff and embracing the 21st Century as it pertains to teacher training. 1) Do not start the first staff meeting of the year with a Power Point Of course, you have ‘house keeping’ business to take care of and your due diligence with informing staff is priority. Model new strategies, new skills, new fluencies. Inspire and Engage your staff from the beginning. – Create a Wikispace and show staff how to sign in. You can call this the “Staff Room Wiki”. Staff can sign in at any time, any place and view the house keeping business, rules, timelimes. THE BEST PART OF THIS IS THAT IT IS COLLABORATIVE. THE PRINCIPAL DOES NOT DO ALL THE WORK. IT IS SHARED. – Like kids, your staff wants to enjoy what the are doing. 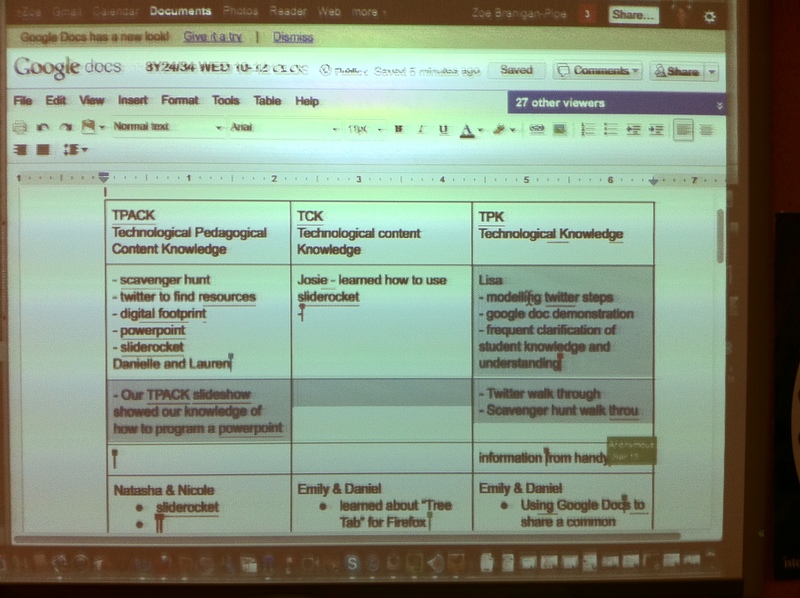 Consider creating a COLLABORATIVE google doc, or form for staff to work on during the staff meeting. MAKE IT FUN. – Consider starting a backhannel – http://www.todaysmeet.com/ – Pick one or two of your staff to ask questions throughout the meeting. Shy teachers or those who don’t participate often may be more willing to use a backchannel. – Invite an expert to SKYPE into your staff meeting. There are MANY amazing leaders out there. JUST ASK. 2) Think – is there a better way to provide your staff information that is quick and to the point then through EMAIL? – Open a SECURE school TWITTER account. Only your staff is approved to see posts. Again, this method of communication is quick, easy and collaborative. Learn how to use a #TAG. Promote ongoing, sustainable discussions. 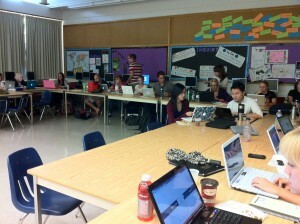 3) Start the first staff meeting by showing your staff YOUR NEW BLOG. Even if it is the first, “Welcome” entry- Your staff wants authenticity, integrity and openness. Show them how it is done. Guaranteed, they will connect this to their own teaching practice. Be a model. 4) Survey your staff – find out who they are. As a classroom teacher, differentiated instruction DEPENDS on knowing the students. Do the same with your teachers. Ask them what kind of PD they want – ask for their input. You can use a Google Form for this. 5) Be willing to ask an expert – even if that expert happens to be a first year teacher. Many companies have had huge successes after using new staff as part of their leadership and decision making structures. These teachers are also coming with an advantage. They are the digital genaration. 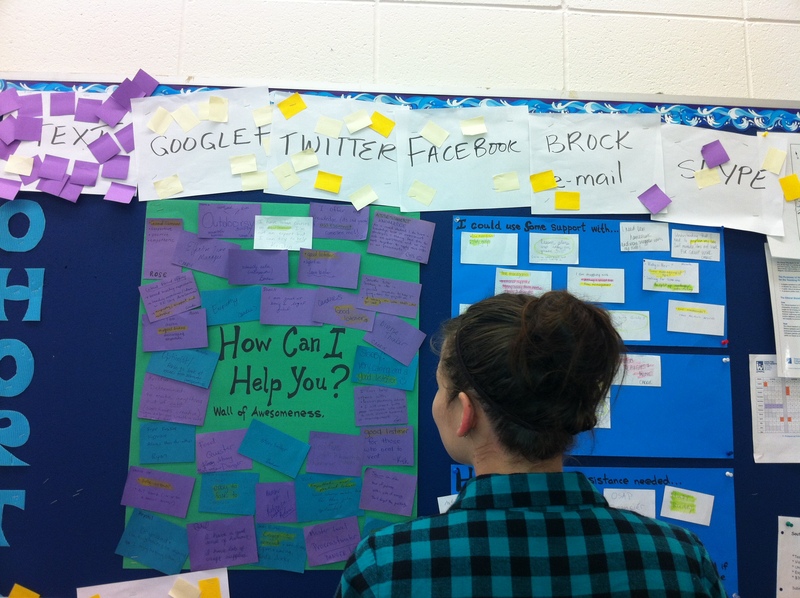 PLEASE SHARE YOUR THOUGHTS AND COMMENTS SO THAT WE CAN INCREASE TEACHER ENGAGEMENT. 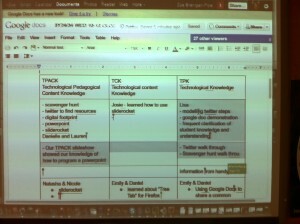 Educon2.2 – not just a technology conference…. The idea of Educon, in itself was built on the above ingredients and like chemistry, these Axioms rely on one another for the whole to function.